← 2019 SUMMER MINGLES/SINGLES SCHEDULE. Sent Along by Earl Ball. 2019 02 26. Forty-five players on seven courts at Bradenton last Saturday, Feb. 23 sharpened their skills with help from about a dozen “Professors”, mostly Pros. Each student was helped to move forward in their development as a competitor by those best able to assess any deficiencies and provide help. Historically, several of those students have gone forward in tournament play and enjoyed their progress. 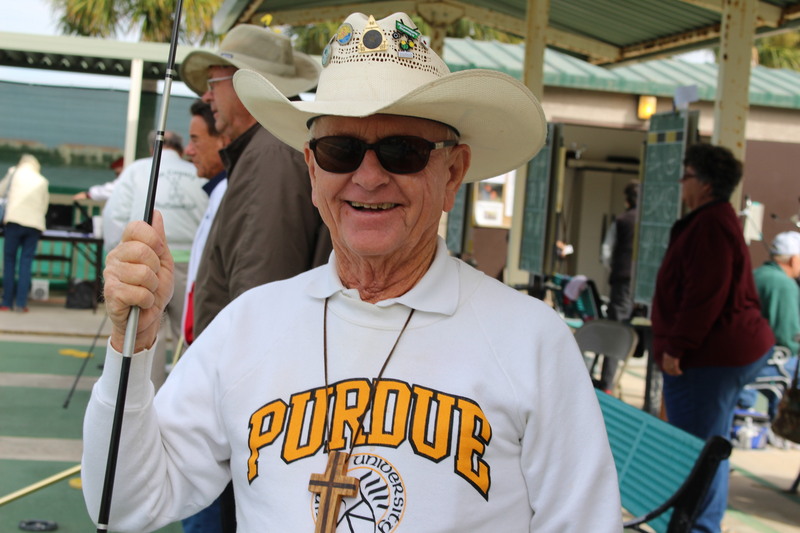 All were encouraged by Florida President Dave Kudro and Bradenton Shuffle Club President Ron Nurnberger. The “Dean” of the school was proud of all present. SWCD D-18 at Bradenton Tropical Palms, Feb. 21, M/L Doubles, 75 pts.Ladies Main: 1. Terri Smith-Flo Kowalewski, 2. Pam Nurnberger-Donna Schultz, 3. Shirley McCullough-Adriana Cramton, 4. Jill DeBruyne-Eva Mae Lake. Consolation: 1. Cindy Slaughterbeck-Ann Dirkse, 2. Kay Lynn Duncan-Joan McCurdy, 3. Siggy Gudzus-Marilyn Everett, 4. Janice O’Sullivan-Helen Lunsford. Men Main: 1. Jerry Stannard-John Roberson, 2. Larry Mardis-Dwayne Cross, 3. Grant Childerhose-Phil Booher, 4. Jim Smith-David Welsh. Consolation: 1. Ron Nurnberger-Larry Taylor, 2. John L. Brown-Stan Kowalewski, 3. Vern Wallingford-Bill Batdorff, 4. Bill Bierema-Richard McGowan.